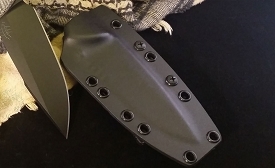 We listened to our discerning customers and designed an extremely functional leather sheath for those who want an alternative to our Kydex sheath. 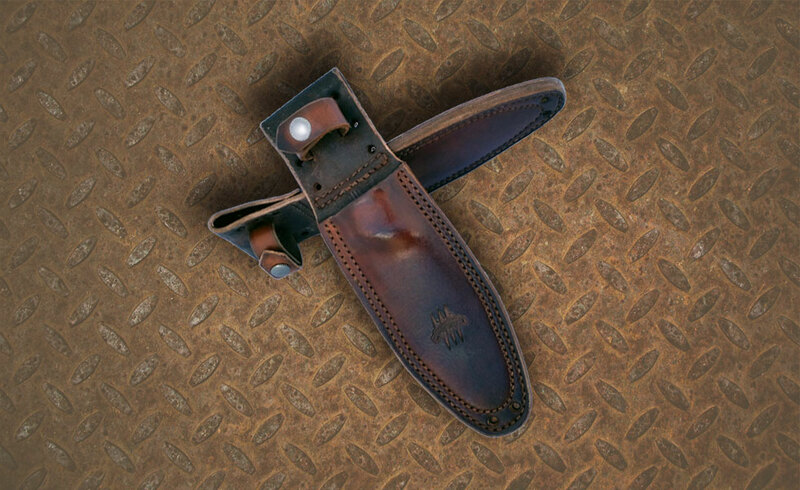 The Attleboro leather sheath is form fitted for a tight hold, includes a leather strap with snap for a secure grasp, and is designed to fit belts under two inches. All seams are double stitched for added strength. 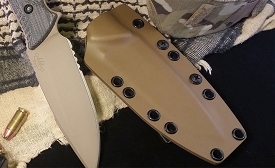 We also designed several attaching holes through the sheath, so you can run 550/para cord through the openings to better secure your knife or use the holes to attach the sheath to your vest or pack. 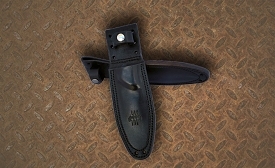 The sheath comes in Black or Grizzly Brown with our Attleboro Logo prominently displayed.